Whether you’re churning out deep-fried crackers for poke, crumbling sheets into granola for an extra salty kick, or wrapping up Spam musubi, there are so many ways to cook with nori. 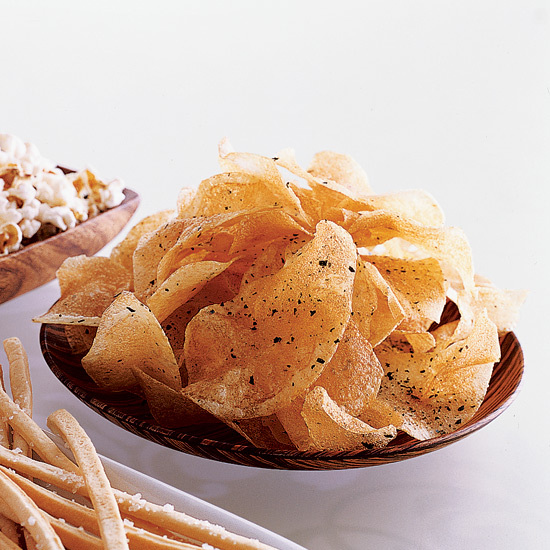 Here are 10 of our favorite recipes that incorporate salty seaweed. At Liholiho Yacht Club in San Francisco, chef Ravi Kapur serves his superdelicious take on the Hawaiian classic tuna poke on crispy, deep-fried nori crackers. A dollop of seasoned aioli is the perfect finish. Kapur makes his aioli, but he says any good-quality mayonnaise is a fine substitute. 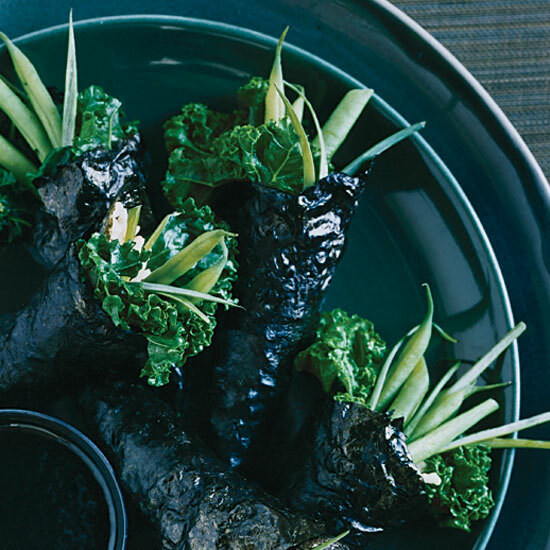 Brown rice replaces the usual white in these fun-to-eat vegetable hand rolls. 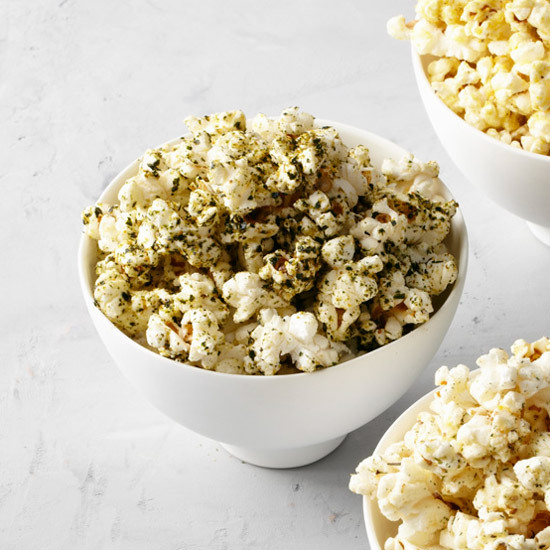 This delicious popcorn is flavored with a mix of Japanese seasonings like togarashi (a chile blend) and crumbled nori (dried seaweed). 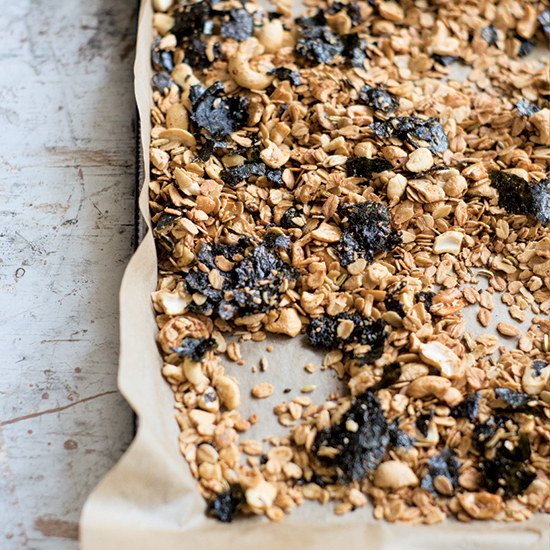 mkgallery’s Kay Chun bakes stacked sheets of nori until they become a supercrunchy, addictive snack. Josh DeChellis is used to diners' initial skepticism when it comes to what he calls his more "out of control" ingredient combinations. 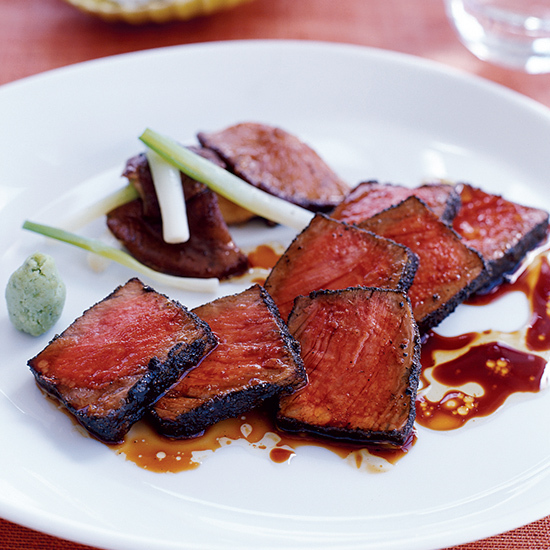 Even the mkgallery Test Kitchen wondered if nori and wasabi could possibly go with the beef here. They do, and brilliantly. What's more, the recipe's healthy; ounce for ounce, sirloin has less saturated fat than chicken thigh with skin. 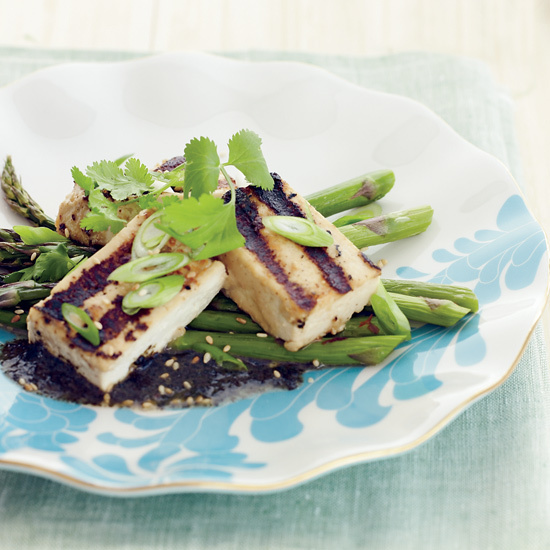 Lee Anne Wong plays with an array of Asian ingredients to create a wonderful marinade for extra-firm tofu or high-fiber tempeh (cakes made from fermented whole soy beans). Tempeh's nutty flavor and grainy texture make it an acquired taste, but Wong loves it here. 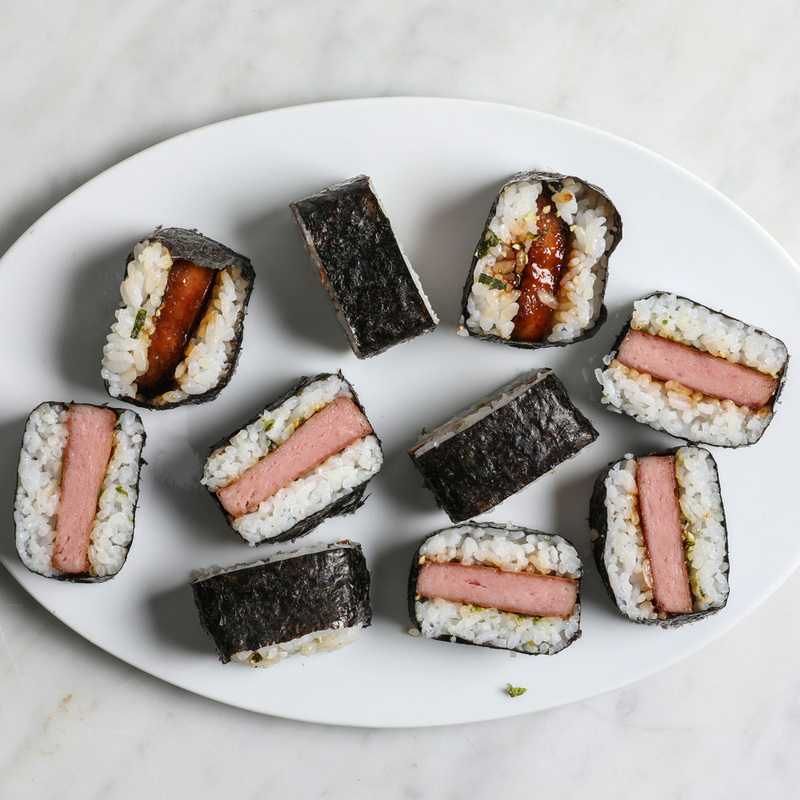 This popular Hawaiian snack of soy-and-sugar-glazed Spam and sushi rice wrapped in nori is totally addictive. Cook Allison Robicelli admits that she had hesitations about trying it, but now it’s one of her favorites. “It’s ridiculous how we have a national aversion to Spam. Shoulder is the best part of the pig, in my opinion,” she says. 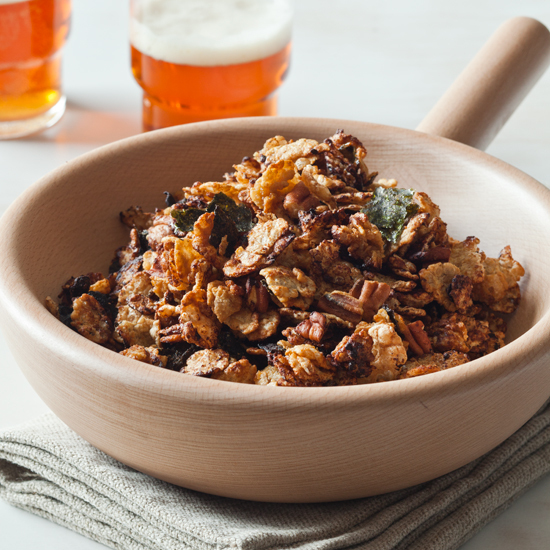 Blogger and cookbook author Heidi Swanson makes her superaddictive, crispy, savory snacking granola with oats, cashews, fennel seeds and plenty of salty nori.